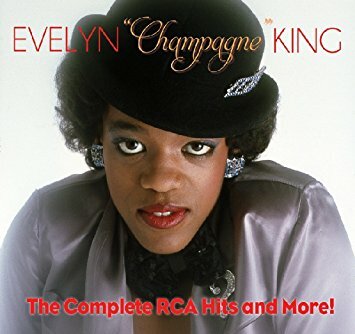 Evelyn "Champagne" King is a talented singer who brought a wonderfully deep, seductive voice to a string of popular hits over the period 1978-88 and is still performing more than three decades after her unlikely breakthrough. Born in New York in 1960, King moved to Philadelphia in the early 70s and worked with her mother as a cleaning woman while also singing in groups locally. In a story straight out of a 1940s movie, the 16-year old King was cleaning Gamble & Huff's Philadelphia International Records offices when her absent-minded singing was overheard by producer T-Life. He loved what he heard and signed King to a production deal, landing her a contract with RCA's fledgling urban division. King made a near-immediate splash with "Shame," a brilliant dance number that featured her ultra-deep voice over a disco beat and an irresistible melody. It was one of the great songs of 1978 and shot to the top of the Pop, Soul and Disco charts. King followed it up with "I Don't Know If It's Right," and her debut album, Smooth Talk, went Gold. King had trouble over the next couple of years repeating the success of Smooth Talk, but in 1981 she teamed with hot young producer Kashif for the album I'm In Love, the title cut of which became her second #1 soul track. This began a multi-album successful collaboration that resulting in a bunch of great numbers including the wonderful dance cuts "Love Come Down" and "Betcha She Don't Love You," both prototypical Kashif songs, complete with heavy beat and then-pioneering electronics. King left RCA in the late 80s for EMI Records, and teamed with Leon Sylvers for her last major hits, "Flirt" and "Kisses Don't Lie," in 1988. She married guitarist/songwriter Freddie Fox and continued to record with less success into the 90s, releasing Girl Next Door to good reviews and also putting out the Europe-only album I'll Keep A Light On for UK-based Expansion Records. After a long recording hiatus, she signed with RNB Entertainment and in 2008 released a pleasing comeback album, Open Book. 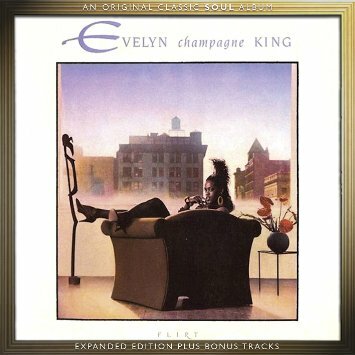 While uneven in quality of compositions, the disc found King to be in fine voice and when the album clicked, listeners were transported to King's halcyon days of funk and disco bliss. 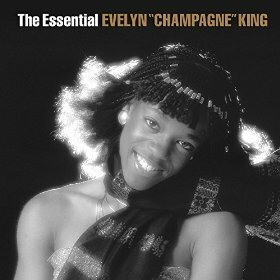 Evelyn King continues to perform around the world both solo and as part of multi-act disco shows around the world and sounds great as she enters her fourth decade in the music business.. The Complete RCA Hits and More!